A PHO shares its experience and outcomes of establishing a unique service targeted at Māori and Pacific patients and whanau. A nursing service providing a range of activities targeted at Māori and Pacific whanau was introduced in November 2006 by Mornington PHO, a single practice mainstream PHO, operating through the Mornington Health Centre in Dunedin. 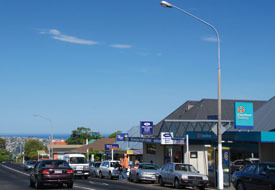 At Mornington, 8.4% of the enrolled population of 15,654 self identify as Māori or Pacific. Analysis of data showed that Māori and Pacific patients were not making full use of the available services. The Māori/Pacific Nursing service was established in recognition of the need to address the health centre's obligations to this group, individually and collectively. Various measurable improvements are already evident and the GPs involved rate the service highly and report enhanced care for their patients. By sharing this experience, Mornington PHO hopes to encourage other PHOs and practices to consider implementing similar initiatives to improve the outcomes for their Māori and Pacific patients. A Māori/Pacific nursing service can be successfully implemented into mainstream general practice with measurable benefits. It complements and supports other practice activities and ensures increased uptake of services and better engagement with patients. From a GP perspective good intentions and a willingness to provide culturally appropriate care are not enough. A more active approach is necessary to engage Māori and Pacific patients, facilitate their access to services and cultivate not merely compliance but keen participation in their own care. The service is provided in the context of He Korowai Oranga (the national Māori Health Strategy) and Whare Tapawha - embracing the four cornerstones of family health (taha whanau), physical health (taha tinana), mental health (taha hinengaro) and spiritual health (taha wairua). In particular, emphasis is placed on Te Ao Māori (Māori world-view), Te Reo Māori (Māori language), management of chronic disease states, access, screening, immunisation and mental health. Most importantly, this service helps establish a trusting relationship with effective communication between GPs, other staff and Māori and Pacific patients and their whanau. Clients come to the service by referral from clinic staff, whanau or other health and social providers. Initial contact occurs within two days and focuses on building a rapport and establishing priorities. Sometimes more pressing demands make patients unwilling to address health needs until, for example, help from the food bank has been arranged, or a financial crisis has been addressed. The service works in partnership with Māori providers and other health and social agencies providing whanau ora, tamariki ora, disease state management, healthy lifestyle promotion, smoking cessation, family violence and wellbeing, budget advice and food bank. The service co-ordinates with other Primary Care services such as the Outreach Immunisation service, which allows the opportunity for vaccinating children in an environment that is safe and comfortable. The service establishes contact with patients who are preparing for discharge from hospital and is involved in multidisciplinary hospital meetings, ensuring patients and whanau understand what is happening on discharge and what services will be put in place. Pharmacies are consulted to ensure medications are affordable and manageable. The client is helped to understand what medications are for and how they should be taken. The nurse often facilitates attendance at appointments and accompanies clients as a support person. The Māori/Pacific nurse has a leadership role; developing practice systems and fostering a team approach to reducing barriers to access. The service employs a bottom-up approach based on consultation with whanau, rather than a top-down planning process. There have been measurable changes as a result of the Māori/Pacific Health Nurse service being established at this PHO. There has been an increase in the number of Māori and Pacific patients registered with the practice due to both increased enrolments and patients being re-allocated to their correct ethnicity. Māori and Pacific patients are attending the practice more frequently. 77% of patients seen by the Māori/Pacific nurse are Māori, with 43% from the most highly deprived areas (decile 9 or 10). 89% of Māori children are fully immunised by 18 months (compared to 65% for Otago and 49% for New Zealand). 100% of Pacific children are fully immunised by 18 months. The overall cervical screening rate is 80%, with 75% of high needs Māori and Pacific patients being screened. The nurse thinks that part of the reason these results have been achieved is that Māori patients prefer a Māori smear taker. There has been an increase in the uptake of Diabetes Annual Reviews. Uptake of the smoking cessation programme has increased by 50%. Mental health consultations have increased significantly.